The Heartless have great fear of the Keyblade. 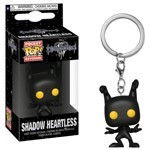 The Shadow is a Pureblood Heartless introduced in Kingdom Hearts. Although the Shadow is one of the weaker, more common types of Heartless, it is still a threat to those without the Keyblade. These Heartless are easy to defeat on their own, but their habit of attacking in large swarms can be quite overwhelming. Certain Heartless, such as the Darkside, the Dark Follower, or Ansem, Seeker of Darkness, can also summon Shadows. This pocket Pop! 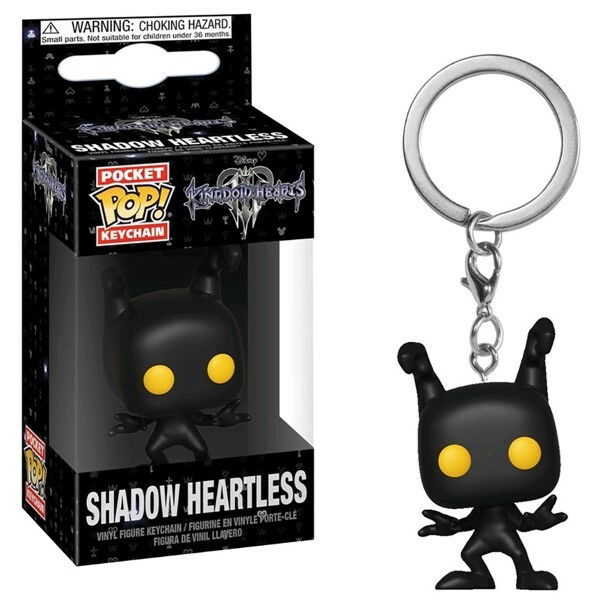 keychain features a Shadow Heartless, a physical, living manifestation of the darkness within people's hearts. Add this one to your collection today!